I seem to be developing a habit of not being able to write my Ada Lovelace Day blogpost on Ada Lovelace Day! This year I have the excuse that I was speaking at Ada Lovelace Day Live! in London on Tuesday, and spent the day polishing off my talk, doing bits for local TV and radio, and generally running round like a headless chicken! Ada Lovelace Day Live! was a fantastic (if exhausting!) event and it was an honour to share a stage with such inspirational women, including Suw Charman-Anderson (founder of Ada Lovelace Day), Dr Suze Kundu (nanochemist in more ways than one), and Abbie Hutty (designer of a freaking Mars rover!). I learnt about how to use maths to explain music and bringing science to life on TV, but unfortunately missed Professor Uta Frith‘s talk as it was just before mine. The event was hosted by the always fabulous Helen Arney who I’m looking forward to seeing in Festival of the Spoken Nerd later this week. My set was all about spectroscopy, the technique that astronomers use to split light up into its components, allowing us to identify chemical elements in stars and galaxies. I was keen to highlight a forgotten female astronomer in this field, and found just the person when perusing this great (but expensive!) book on women in early British and Irish astronomy. What follows is mostly a rough translation of part of my set from Tuesday evening. The use of spectroscopy by 19th century astronomers to identify chemical elements in the Sun, stars, comets and planets is often heralded as the birth of astrophysics. One of the pioneers in this field was Margaret Huggins, who, as with so many historic female astronomers, has mostly been relegated by history to the role of a humble assistant to a prominent male astronomer. In Margaret’s case, this was her husband, William. Margaret was born in Dublin in 1848. She was educated at home before attending finishing school in Brighton. By all accounts she developed a love for astronomy at an early age, reading books and magazines on the subject and observing the night sky with a small telescope. Margaret married William Huggins in 1875, moving to his house in London and immersing herself in his research. The development of dry photographic plates at this time allowed them to finally capture photographs of the spectra they observed, rather than observing by eye and drawing what they saw. These photographed spectra could then be matched up to spectra of known elements observed on Earth. William and Margaret became leading experts in this new field. For the first 14 years of their marriage, all of their work and observations were published under William’s name. That changed in 1889 when ‘Mrs Huggins’ was included as an author on a paper about the Orion Nebula. 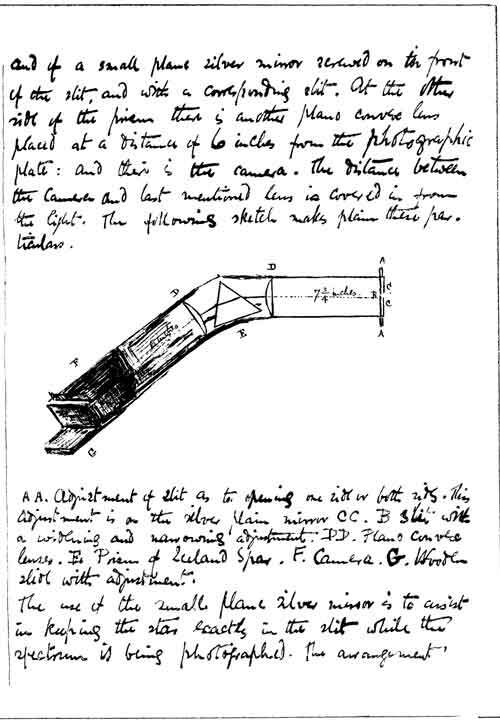 However, studies of their observatory notebooks indicate that she was a major contributor to their work long before then, sketching out ideas for experimental setups, and expressing frustration when William did not heed her advice. Margaret and William worked together for 35 years. One of their key pieces of work was an Atlas of Representative Stellar Spectra that other astronomers could use for reference. I was lucky enough on Tuesday to see a copy of this book owned by the Royal Astronomical Society and it is a beautiful piece of work. Huge thanks to Sian at the RAS for tracking it down. As you might expect, William received most of the accolades and recognition for their work. He was knighted and was President of the Royal Society. Margaret spent most of her life on the sidelines, although she was made an Honorary Member of the Royal Astronomical Society. There are many aspects of William and Margaret’s lives that I admire. They were so devoted to astronomy that their house was essentially an observatory, and their dogs were named after famous astronomers (anyone who knows me will know that having a dog to name after a famous astronomer is a life goal of mine!). One of my favourite snippets of information about Margaret is that she received a spectroscope from a friend as a wedding gift! But I also find her story immensely frustrating, because it seems that she herself propagated the idea that she was merely William’s assistant. The work of the Hugginses paved the way for future astrophysicists to unlock the mysteries of our Universe. 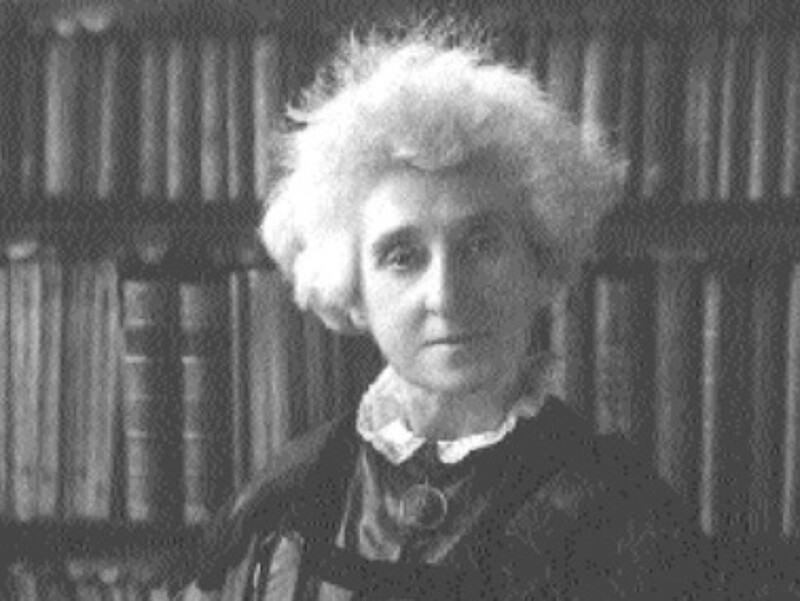 The work of Annie Jump Cannon, Cecilia Payne-Gaposchkin, Vera Rubin and countless others all relied on spectroscopic observations, using techniques pioneered by Margaret Huggins. Most of what I know about Margaret Huggins I learnt from Women in Early British and Irish Astronomy by Mary Bruck and Eclecticism, Opportunism, and the Evolution of a New Research Agenda: William and Margaret Huggins and the Origins of Astrophysics by Barbara Becker. Check them both out for a more detailed account of her life.